As 3D technology continues to advance, many of the benefits are becoming more integrated within manufacturing. One of the obvious and early applications of 3D technology within the highly competitive manufacturing world has been the growth of rapid prototyping. Previously, companies could take weeks, months and even years to perform all the R&amp;D required to bring a new product to market. But with the introduction of 3D technology, both prototyping cost and time have been radically reduced, allowing companies to introduce new products on a faster turnaround from inception to point of sale. Further innovations have continued which has put 3D technology at the heart of the agile manufacturing movement. Agile manufacturing is the concept whereby companies can produce smaller lots at a competitive cost in response to customer demands. 1 As adoption of 3D technology has begun to find a place within manufacturing, further uses in support of agile manufacturing have become apparent. One use is in the deployment of Additive Manufacturing Tooling. 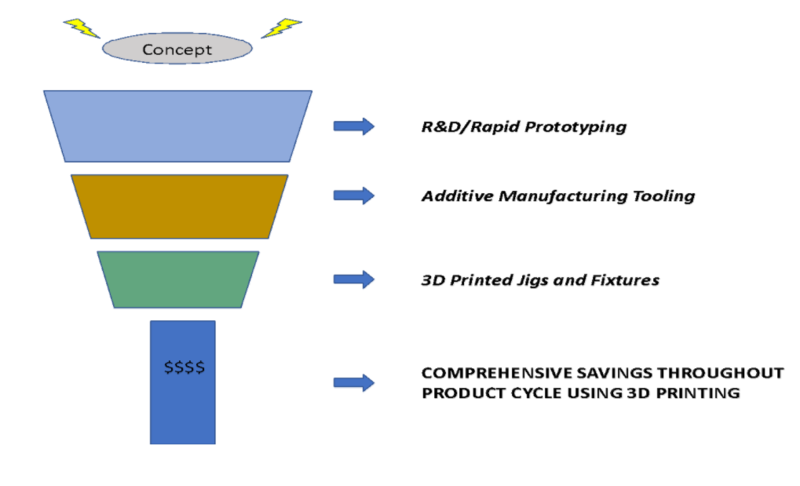 As companies began to realize the cost benefit in both time and dollars through rapid prototyping, AM tooling was the logical leap that applied the same savings to the production phase. Equally radical savings are now applied to produce fast parts allowing smaller runs for products that appeal to a smaller niche, or to products that may have a short lifespan due to shifting consumer tastes. Reducing dollar cost and time by factors of 10-100 has resulted in production efficiencies for smaller lots previously unobtainable at those volumes. Reduced Lead Time: Reduced labor inputs, reliance on digital files that can be easily modified and the ability to “in-house” some or all the tooling creation on site. Reduced Cost: Reduced labor costs are a common goal in a replacement process but cost reduction in AM tooling is also achieved by greatly reduced scrap rates compared to conventional tooling. Functionality Improvements: The use of additive manufacturing for rapid tooling allows tooling designs to be created that were not possible or affordable previously. This can result in an improvement in tooling performance but may also allow a reduction in post tooling assembly by allowing creation of tools that join parts that were previously not able to be joined due to tooling geometry. Customization: 3D printed tools allow for the creation of complex geometries for customization of parts up to and including user-specific parts such as medical devices. The ability to deploy rapid tooling at a lower cost and faster turnaround reduces the overall cost and makes innovation or single unit customization possible and more affordable. 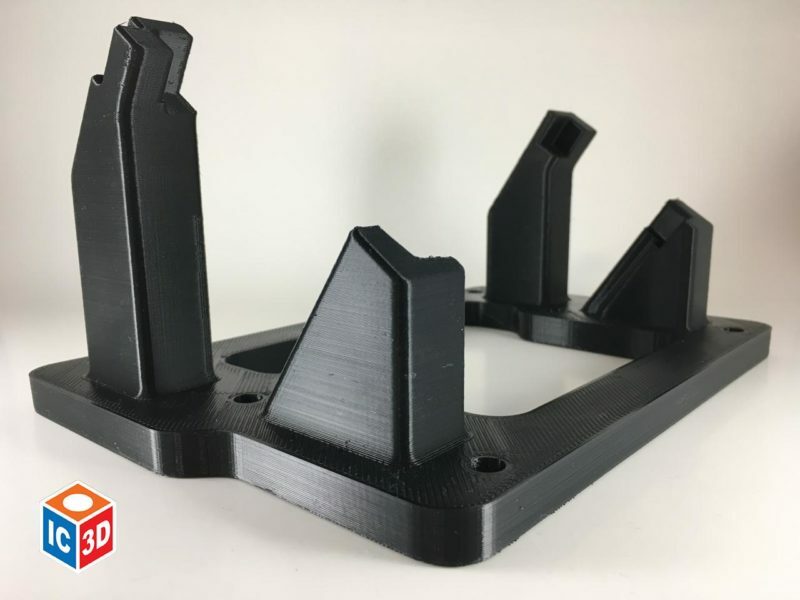 The overall effect has been a “funneling” of 3D technology – and the associated savings – from the higher-level R&D and prototyping into a smaller neck of the product funnel where AM tooling takes over to produce actual pieces needed for subassemblies and substructures. And again, as manufacturers have adopted the technology further into their agile capabilities, yet another neck of the funnel for application of 3D technology becomes apparent. With faster prototyping and with parts created through AM tooling, it makes sense to apply the same logic to the next narrowing of the funnel, the use of jigs and fixtures during assembly. These manufacturing aids are used for a variety of tasks within manufacturing to reduce time and increase both accuracy and repeatability. Jigs – Jigs are used to control the location or guide the motion of another part or tool. These tool guidance devices aid repeatability and increase speed of production. Jigs may be used in various locations throughout the process where the same task is required. Fixtures – Fixtures are used for similar but more diverse reasons. Fixtures are often used as an assembly aid and may help set a part in place as well as hold it for further subassembly or modification. Fixtures are often confined to a specific set of tasks and may be used only in a few, or sometimes a single, location in the assembly process. Assembly Line Fixtures: Integrated into the assembly line they can be pick and place fixtures or as work holding guides for adhesive applications or other fasteners. Calibration Fixtures: Regulates position and depth. Drilling Fixtures: Holds part in place during drilling and acts as tool guidance to assure evenly spaced holes. Holding Fixtures: Often used during transportation or storage. End Effector Tooling: For factories using robotic programming with end effector tooling, additive manufacturing can speed production of the fixture and they can be made as needed. Parts can also be recycled once it has outlived its lifespan or after a changeover from a short run, custom product. Increased Productivity: Using 3D printed jigs and fixtures can improve productivity by turning a multi-step task into a single – or integrated – task. 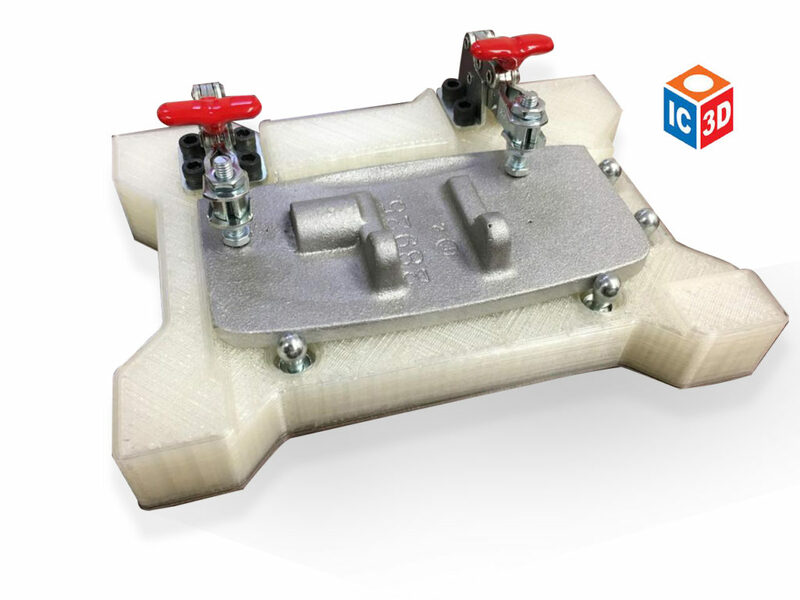 For example, a 3D printed fixture can be designed to follow unique contours of the held assembly to allow more tasks to be completed per assembly and can be used at many stations throughout the plant. Improved Accuracy and Repeatability: The superior design capabilities of 3D printed jigs and fixtures can take advantage of complex geometries and component contours to create a part that is more “organic” in its fit to the assembly, increasing accuracy and repeatability and reducing risk of failure that would result in waste. 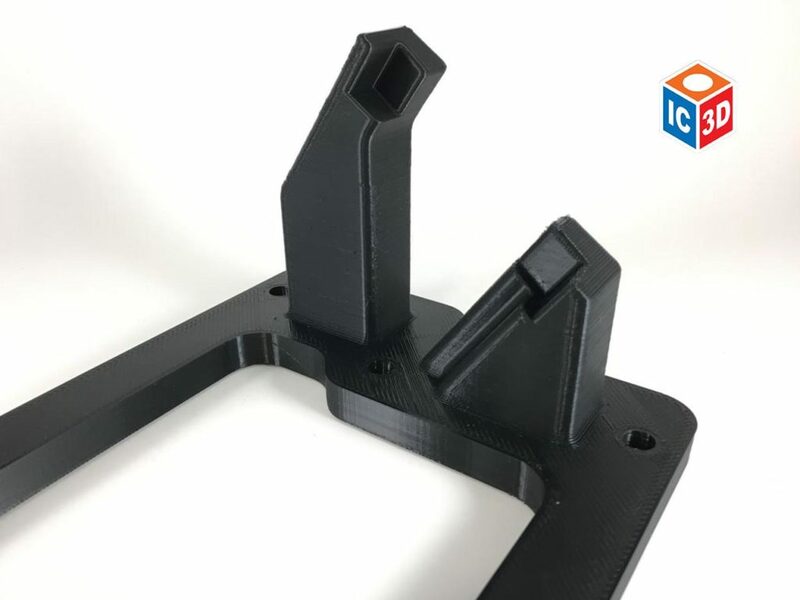 Improved Quality: One particularly advantageous method of additive manufacturing to produce jigs and fixtures is FFF, or Fused Filament Fabrication. Using plastic in FFF to produce these assembly aids can have an impact to quality. Plastics are lighter weight and less likely to scratch assembly surfaces. This key advantage is applicable regardless of the level of automation used in the factory. In manual tasks where the fixture is important for work holding, the lightweight plastic is less likely to “ding” the assembly when moved into place by workers, as opposed to heavier metal-formed pieces. It can also be useful in pick and place automation by applying a firm but less abrasive grip. And for factories using robotic programming, end of arm tools (EOAT) made of plastic are less likely to scratch or mar the surface in both general use as well as in the case of a machine fault. Improved Ergonomics and Worker Safety: Most methods of additive manufacturing result in lightweight pieces compared to traditional methods of producing the same part. For fixtures that must be lifted to the assembly, or lifted with a component attached to join to another component, reduced overall weight can help reduce strain and fatigue and lead to safer completion of tasks. Reduced Cost: The same cost reductions in time and dollars realized with rapid prototyping and Additive Manufacturing Tooling accrue to the use of 3D printing for jigs and fixtures and often on the same scale. 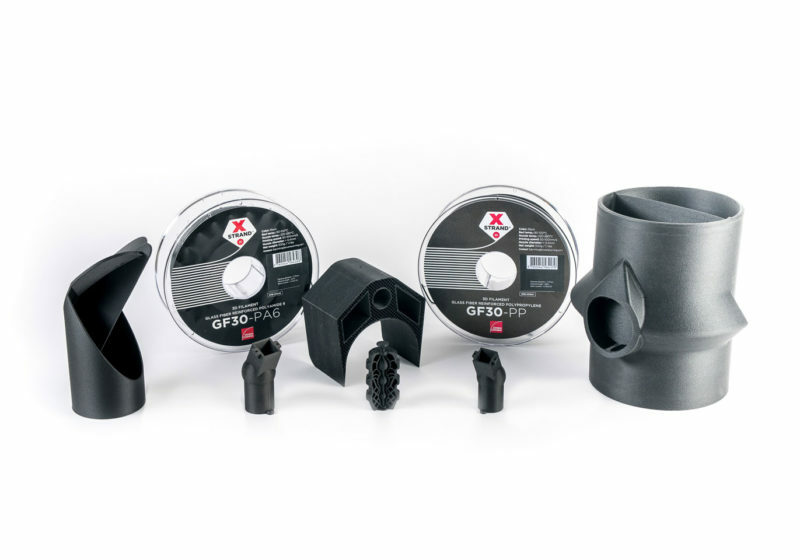 The uses of additive manufacturing for tools, fixtures, grips and other assembly line production is available for any size enterprise and any level of automation. In the picture below, IC3D Industries designed a fixture as a solution that increased production speed and productivity for the client. The resulting savings were staggering, with this single fixture leading to a 75% reduction in finished product lead time and a 50% reduction in cost compared to the previous method. Another IC3D project with a huge savings impact is indicated in the picture below. Cost savings for the new fixture compared to the previous method were approximately 30% for the client. However, there was an added indirect benefit as well. The previous method of assembly required extensive use of the client’s CNC equipment, locking down a valuable machine needed for high volume production of other parts and products. The creation of this fixture reduced the time to complete the task, freeing up the CNC equipment for high-volume parts. As with rapid prototyping and AM Tooling, cost savings can, in most companies, be directly measured and evaluated on the bottom-line in materials and labor. But as indicated in the case above, there is often a significant indirect cost saving as well. In the IC3D sample above, while direct dollar savings were considerable for the client, the fixtures created had a compounding effect; freeing up equipment for other production runs. Capital expenditures for equipment are usually expensive for any company and in some small or medium sized companies they can be cost prohibitive. This means that short lot runs are not as productive because in the choice between adding equipment or running higher labor costs through overtime, neither are an acceptable option. A company may be faced with the risk of running inventory on future sales assumptions for a longer run to capture volume savings, or, in some cases, refuse the business outright due to the higher cost of short runs. The impact of the use of jigs and fixtures for short lot runs to improve and streamline equipment utilization cannot be overstated. In this way, small and medium sized companies can schedule shorter lots at a comparable level of productivity compared to higher volume runs while maintaining costed labor centers at a stable level and reducing the need for additional equipment. New equipment or costly overtime is eliminated and the company is free to capture niche products and seasonal trends that were previously out of reach. As additive manufacturing continues to find a home as a productivity solution in traditional manufacturing, the true scope of its ability to impact product costs at all levels of the product cycle is becoming more apparent. From rapid prototyping and R&D, to the use of AM Tooling, and to the production floor application of jigs and fixtures, production time is accelerated while quality is maintained or improved. And in evaluating the productivity, quality and cost savings at every level of the funnel through the entire product cycle, small and medium sized companies can continue to go toe to toe with larger competitors. But while every manufacturing company can apply this product cycle funnel to their product line, not every company has the same level of resources available. 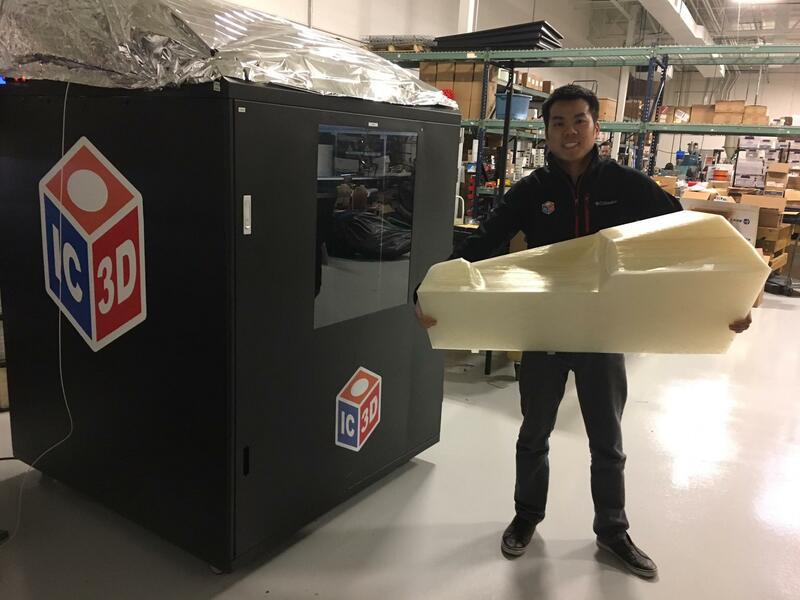 For larger enterprises, investment in 3D technology, equipment and skill sets necessary to integrate 3D into their infrastructure is an option, but for many small and medium sized companies it isn’t. The most effective way to apply these advantages for these companies is through partnering with a 3D printing service bureau. By doing so, they can capture the same savings and benefits as their larger competitors without the costly investment. Partnering with a 3D service bureau also gives manufacturers flexibility of moving into the technology a ’la carte, by deciding which ring of the funnel would most benefit their operation in the present. In the case of jigs and fixtures it may offer an immediate relief from labor pressure brought on by overtime or by freeing up valuable machine time to maximize equipment utilization that allows the company to compete with seasonal or short term but trending product lines. Regardless the starting point, a strong relationship with a service bureau can level the playing field for many companies competitively. IC3D has over fifteen years of combined experience to help you with your latest project or production and help provide a working solution for all your enterprise needs. We can assist you in developing the AM tooling you need from design through production of the tooling itself to lower your development cost and bring your design to life. 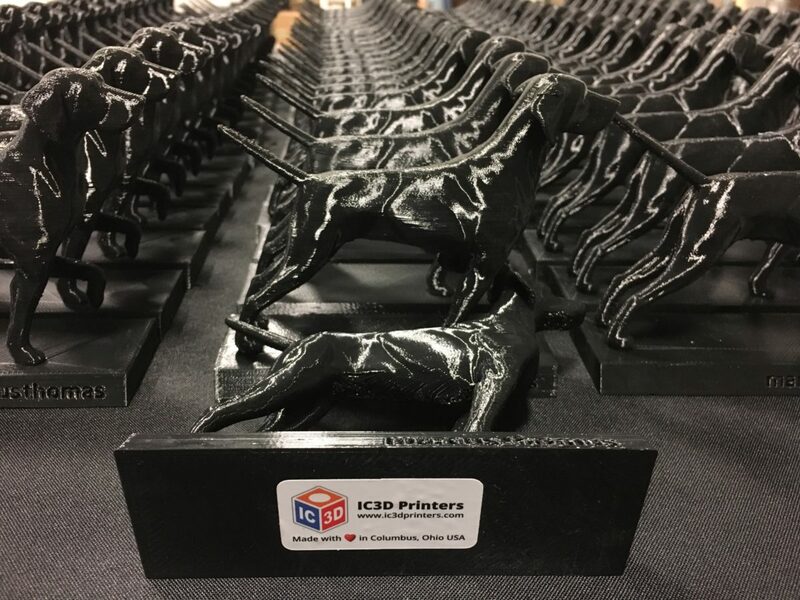 From our in-house base of large format printers, developed by IC3D and specifically designed to reduce costs, IC3D is a 3D printing service bureau, consumables supplier and partner in your project from concept to prototyping to completion. IC3D also produces its own line of 3D filament in ABS, PLA and Nylon and we don’t use recycled material. Our filament is 100% virgin material that extruded in house in Ohio using strict production standards. And all IC3D material is backed by a 100% satisfaction guarantee. 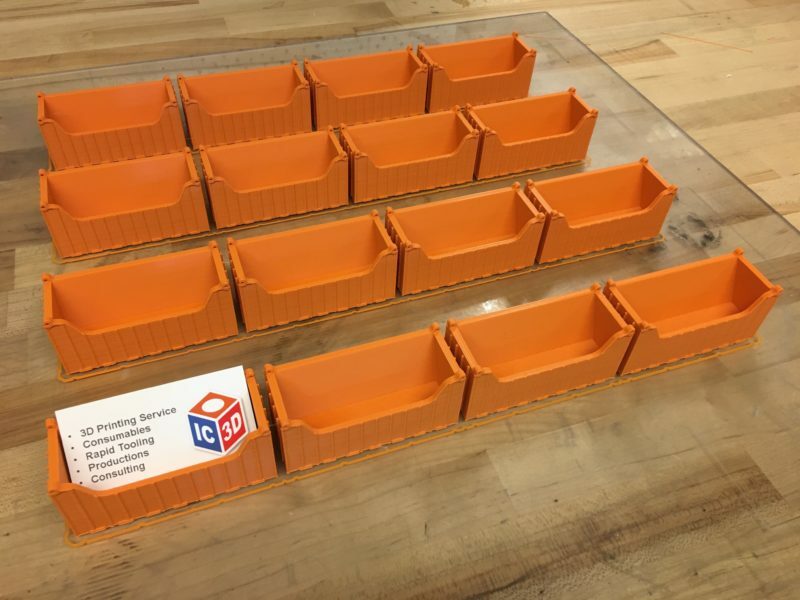 IC3Ds superior line of consumables alongside our 3D printing service bureau capabilities and our rapid prototyping services for 3D technology assure that you can create and produce your next project with confidence in both quality and speed.